Trucking revenues totaled $610 billion last year and revenues are estimated to nearly double in the next few years. While commercial trucking growth is good news for the trucking companies and the economy, it is bad news for the cars, vans and SUVs that share the road with these potentially lethal giants. Statistically, large commercial trucks and 18-wheelers are the most dangerous vehicles on the highway and roads today. 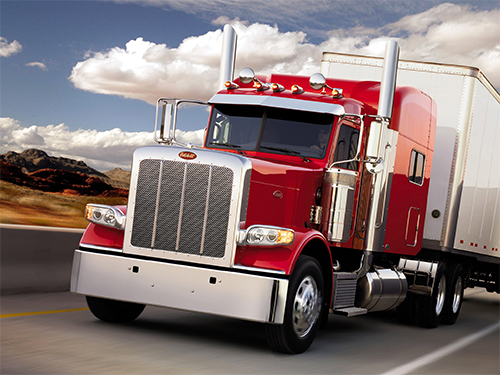 Approximately 500,000 trucking accidents occur every year in the United States. Of these, approximately 5,000 trucking accidents result in fatalities. In fact, one out of every eight traffic fatalities involves a trucking collision. In tractor trailer accidents, 98% of fatalities occur to the individuals in the passenger vehicles. Accidents occurring while a driver is under the influence of alcohol or otherwise intoxicated are at an epidemic level in the United States and truck accidents are not exempt. Driving under the influence (DUI) is regarded as one of the leading causes of fatal truck accidents today. Driving a large commercial truck requires a considerable amount of professional skill because a large truck has different performance capabilities with limits on acceleration, braking, and visibility; they are hard to safely maneuver. These drivers must be well trained and specially licensed. They are required to exercise a higher standard of care and must operate their vehicles in a safe and responsible manner. Unsafe driving, oversized loads, shifting loads, poor maintenance, or other negligent practices put the public at great risk. Because both state and federal government agencies understand this risk, they strictly regulate the driver training, driving times, and maintenance of large commercial trucks. Accordingly, commercial truck liability cases often involve complex legal issues and large amounts of evidence. When a commercial truck is involved in an accident, the insurance companies respond at once. They immediately dispatch lawyers, accident engineers, private investigators, and claims adjusters to do damage control and attempt to minimize their liability. The victims and their families often struggle alone desperately trying to survive physically, emotionally, and financially while the insurance companies circle their wagons. It is important to meet “fire with fire” and immediately retain an aggressive commercial truck accident / injury attorney. If you or a loved one has been involved in a commercial truck / 18-wheeler accident, we want to stand with you and your family during this crisis. Our first priority is to devote all of our resources to ensure you receive full and fair compensation as quickly as possible. The Law Offices of Roderick C. White have the knowledge, experience, resources, and investigative expertise needed to help you bring a successful claim to the insurance companies – or to a jury. Contact us for a free consultation and comprehensive professional evaluation of your case.